The Knox County Clerk's Office failed to collect almost $476,000 in taxes from local hotels and motels the past two years, according to a recent audit, and county leaders say the amount is probably much higher than that. The clerk, however, said he can't do anything about it. He said his office doesn't have the enforcement powers to make someone pay up. "There's no law that says we can do that and that's why it's so frustrating," county Clerk Foster Arnett Jr told WBIR 10News. "It's kind of like ... sending a police cadet out to write tickets, but all they can do is put a note under their windshield and say, 'Gee, I wish you didn't park here.'" 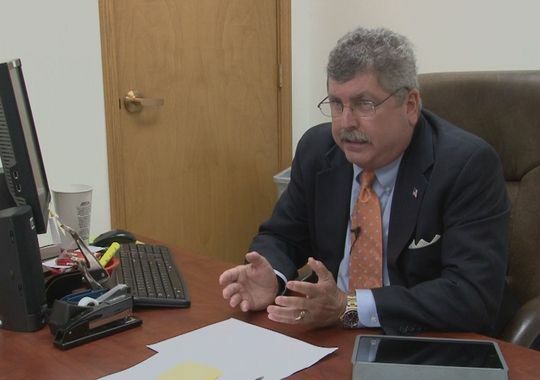 Arnett added: "There are uncollected taxes that are out there because up until this point all we could do is send a letter and say we want you to pay your taxes, and if they don't there's not relief there – there's no enforcement for us to go out after those folks." WBIR reviewed 1982 legislation that created the county's occupancy tax – a 5 percent fee charged to lodging guests that is used to fund tourism-related operations and programs in Knox County. The legislation gives a county clerk the "powers and duties" of the commissioner of revenue that are established under the state's "Tax Enforcement Procedures Act." That means the clerk can seize property "by any means" in order to obtain payment, so long as a 10-day notice is issued to the property owner, according to state law. Once seized, the clerk also can padlock the doors and begin the legal process to sell the property. Arnett, whose office is charged with collecting the tax, said he was not aware of the law.